When Pushkin Press launched their new crime imprint—aptly named Pushkin Vertigo—back in September, I couldn’t resist buying a couple of titles: the Boileau-Narcejac I’m reviewing here, plus Leo Perutz’ Master of the Day of Judgement. I’ve yet to read the latter, but if Vertigo is anything to go by, I’ve got a treat in store. First published in France in 1954, Vertigo (originally titled D’entre les morts, meaning Among the Dead) is the source novel for the Hitchcock film of the same name. Even if you’re familiar with the movie, the book is well worth reading. I think the novel is darker and more disturbing than Hitchcock’s adaptation. Moreover, the characterisation feels stronger and more nuanced here. In any case, it’s a terrific read, especially if you’re interested in the themes of desire and obsession. As the story opens, we find ourselves in Paris in 1940, and the signs of war are rumbling away in the background. Lawyer and former police officer, Roger Flavières is approached by an old friend, Paul Gévigne, who wants to ask a favour of him. Even though he hasn’t seen Gévigne for fifteen years, Flavières can tell that his old acquaintance is not entirely at ease. Gévigne is worried about his wife of four years, a lady by the name of Madeleine. According to Gévigne, Madeleine has always had a rather variable temperament, ‘up one minute, down the next’, but lately she has become prone to odd silences; more specifically, there are times when she appears to drift off into a world of her own. Despite the fact that several doctors have examined Madeleine and found nothing wrong with her health, Gévigne remains concerned. His wife seems to have developed a strange fascination with her great-grandmother, Pauline Lagerlac, who, unbeknownst to Madeleine, took her own life at a young age. With all this in mind, Gévigne asks Flavières to keep an eye his wife, to follow her from a distance and provide an opinion on her behaviour. Even though he suspects Madeleine is simply having an affair, Flavières agrees. He is also not terribly fond of Gévigne, which you’ll see in the following quote. Once he sees Madeleine in the flesh, Flavières experiences a change of heart. She is beautiful, elegant and graceful, but there is something a little fragile about her, too. Flavières is smitten, and as he continues to follow Madeleine, he becomes increasingly fascinated with her. One day, while he is watching Madeleine, Flavières is forced to step in and make contact. An incident occurs that appears to mirror something from Pauline Lagerlac’s past, an episode which suggests Madeleine is in need of constant protection. As he reflects on Madeleine’s behaviour, Flavières identifies two sides to her demeanour. On the one hand, she seems happy, lively and full of the joys of life—this is the luminous side of Madeleine’s character. By contrast, the other side is much darker and more mysterious. At times, she seems detached and somewhat dislocated—in other words, much more vulnerable and harder to reach. The second section of the story takes place four years later in Marseilles in an atmosphere that reminds me a little of Anna Seghers’ haunting novel, Transit. As Flavières pursues Madeleine with a feverish obsession, he becomes trapped in a nightmare of his own, increasingly fuelled by drink and a deep desire for the “truth”. I say “truth” in inverted commas because there is a blurring of the margins between reality and the imaginary. Vertigo is a short novel, and thoroughly absorbing with it, so I’m wary of saying too much about the plot for fear of revealing any major spoilers. I would like to mention something about the characterisation, though. It is clear from the opening chapter that Flavières has troubles of his own. He is haunted by an incident in his past when, during his days as a detective, his fear of heights prevented him from pursuing a suspect who had taken refuge on a rooftop. When Flavières’ colleague, Leriche, stepped in to help, the officer slipped and fell to his death. Consequently, Flavières still holds himself responsible for the loss of his former colleague, a story he shares with Gévigne during their initial meeting. For me, this is one of the key passages in the novel as the themes expressed here reverberate and echo through the narrative. Flavières is more than a little vulnerable himself. His health is failing and his mental state fragile. Is Flavières simply chasing an idealised image of Madeleine, a fantasy figure he has created in his own mind, or will he find the real Madeleine in the end? And just how significant is Madeleine’s connection with her great-grandmother, Pauline Lagerlac? I’ll leave you to discover the answers to these questions for yourselves should you decide to real this excellent, mind-bending novel. 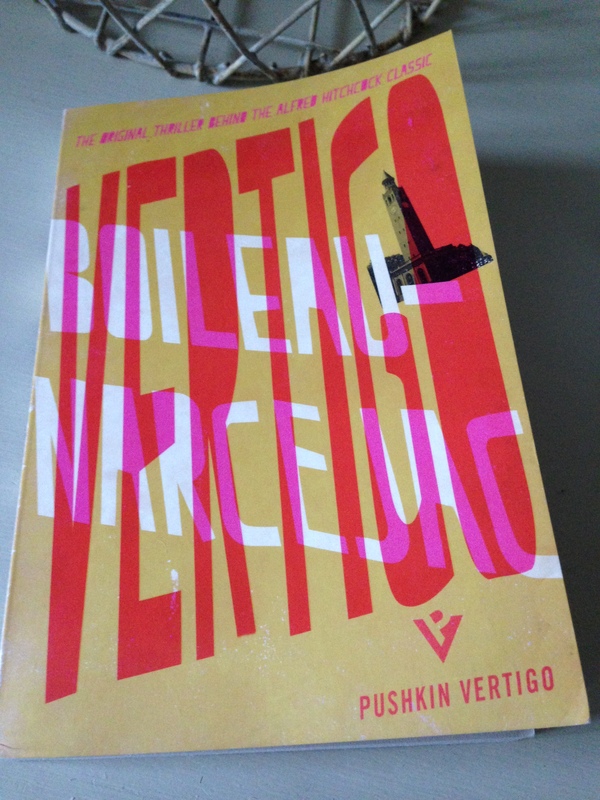 Before I wrap up, just a few words on the Pushkin Vertigo edition. It is beautifully produced and comes with an interesting afterword on Pierre Boileau and Thomas Narcejac who collaborated together under the nom-de-plume Boileau-Narcejac. Tired of traditional British crime fiction and the hardboiled style of American detective novels, they sought to create a new kind of mystery which placed the victim at the heart of the story (albeit a victim who might not realise the true extent of their position). To my mind, that’s exactly what they have achieved with Vertigo. Several other bloggers have reviewed this novel. 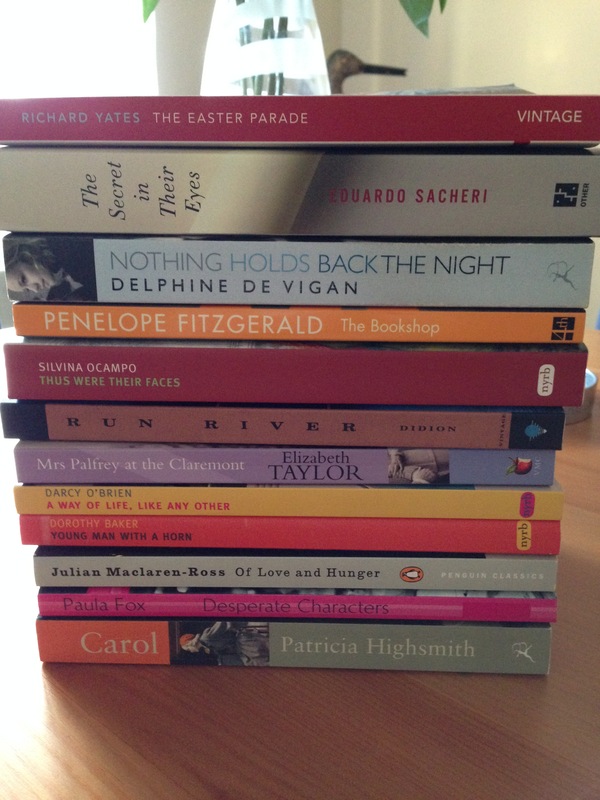 Posts that have caught my eye include those from FictionFan, Guy and LitLove, some of which go into more detail about the differences between the book and Hitchcock’s film. Vertigo is published by Pushkin Vertigo. Source: Personal copy. This entry was posted in Boileau-Narcejac, Book Reviews and tagged #NovellaNov, #TranslationThurs, Boileau-Narcejac, Book Review, Fiction, France, Literature in Translation, Novella, Pierre Boileau, Pushkin Press, Pushkin Vertigo, Thomas Narcejac on December 8, 2015 by JacquiWine.